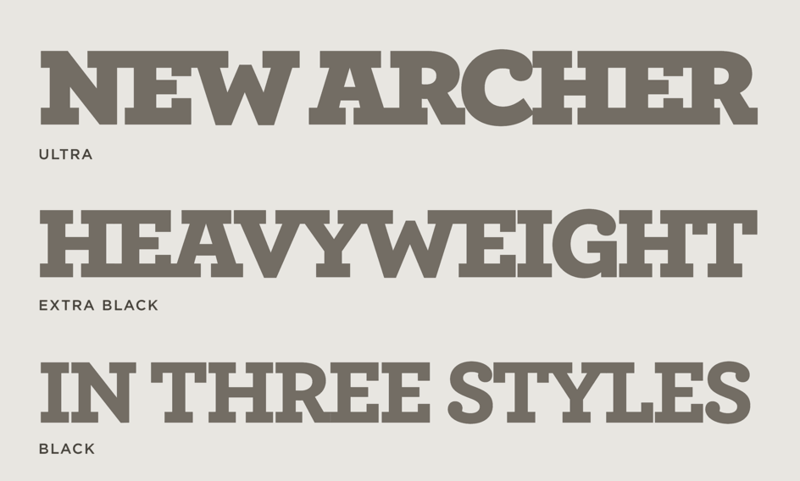 Archer Font Features: Heavyweights | Hoefler & Co. Designers asked if Archer could go a little heavier. We made it a lot heavier. 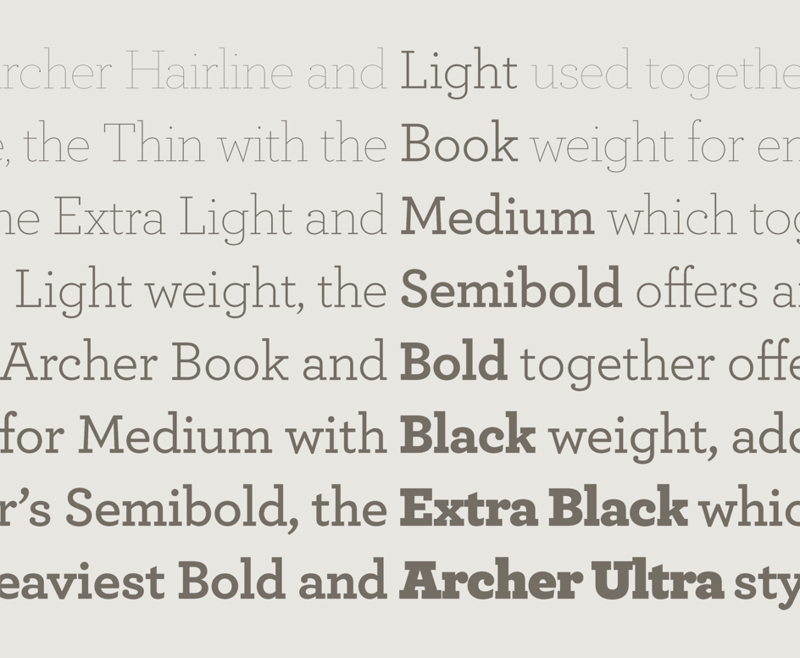 Introducing the Archer 3 package, containing Black, Extra Black, and Ultra, in both roman and italic. Archer was designed to be charming, a delicate book face that never raises its voice. But ever since we’ve seen designers coaxing new moods out of Archer, tightly letterspacing its boldest weights to achieve a more boisterous tone, we thought we’d see if the fonts themselves could do more. With the addition of these new styles — pushing Archer to a total of eleven weights — the family takes on a whole new range of voices. Now the ever-polite Archer can be exuberant, adamant, jolly, rustic, solemn, sporty, and vibrant. Archer has always performed in both text and display sizes, a tradition we've continued with these new heavyweight styles. The new Archers are vivid at large sizes, and clear in text — and they're outfitted with all the trimmings needed to articulate content. The new Archer 3 Pro contains small caps, tabular figures, fractions, and even numerical indices. And if you've been using Archer's heavier weights for text, now you use these heaviest weights for emphasis: just as you've paired Archer Book and Bold, you can now pair Archer Bold and Ultra.